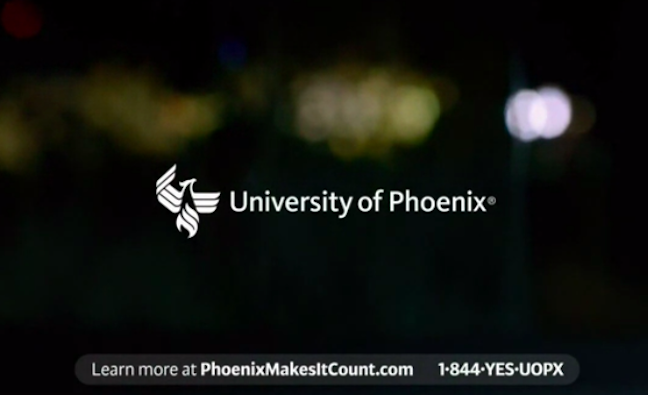 For the second time this year, University of Phoenix’s parent company Apollo Education Group attempted to tone down the role the troubled for-profit college has played in the company’s falling stock prices and public image during a phone call with investors. While Apollo CEO Greg Cappelli admitted the corporation was “obviously operating in a challenging environment,” he failed to directly address recent investigations by federal regulators and a ban from military recruitment, Reveal reports. Apollo, which was trading at more than $34/share at the beginning of 2015, had already seen its share price sink to around $12 before Oct. 9, when news broke that the DoD had put University of Phoenix on probation. Since then, it’s fallen to around $7 per share. The DoD probation means the schools is barred from recruiting on U.S. military installations, and its participation in the DoD Tuition Assistance Program for active duty military personnel is on hold. Despite working with regulators and investigators, Cappelli said he was unsure when the college’s reinstatement in the tuition assistance program would occur. Whenever that does happen, Cappelli cautioned that the DoD’s action would likely have a lasting impact on future enrollment and revenue. According to Reveal, the University of Phoenix received $20 million in military tuition assistance from the Pentagon last year and $1.2 billion in GI Bill benefits since 2009. Apollo interim chief financial officer, Joe D’Amico told investors that while the company deals with action from the DoD and other regulators, it’s still able to receive funding and tuition through the Department of Veterans Affairs. In fact, the agency has not taken any public action against the company, but has posted notice of the DoD’s probation on its website, according to Reveal. Cappelli and other executives previously tried to placate investors earlier this year when the chain revealed enrollment at the college had declined once again to 214,000 students, a stark contrast to the 470,800 students enrolled back in 2010. At the time, Cappelli blamed the continued decline in enrollment on the transition the career college has undergone and a decrease in marketing expenditures. The company has since reportedly stopped enrollment at 14 campuses and 10 learning centers.